Is IQ Option A Scam? An Award-Winning Trading Platform Reviewed! →Is IQ Option A Scam? An Award-Winning Trading Platform Reviewed! Welcome to my IQ Option review! No, the name doesn't sound like it's a place for IQ tests or anything. In fact, the name has nothing to do with what it actually really is. 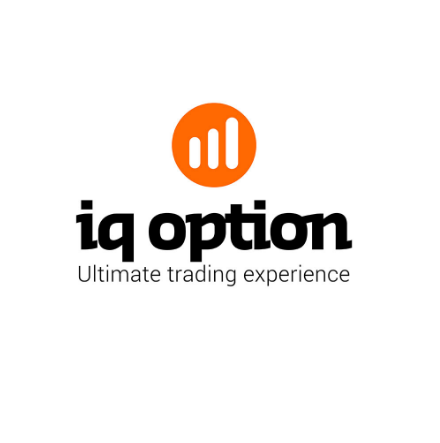 I am talking about IQ Option, an online trading platform. Let me be completely transparent with you, I'm not associated with IQ Option in any form. Instead, I'm here to reveal what this multi-awarded online trading platform has that sets itself apart from its competitors. Founder: Operated by IQ Option LTD.
Best For: Seasoned and experienced online traders who know their way around Forex, stocks, and other commodities. Summary: IQ Option is a multi-awarded online trading platform for Forex, Stocks, and other commodities. 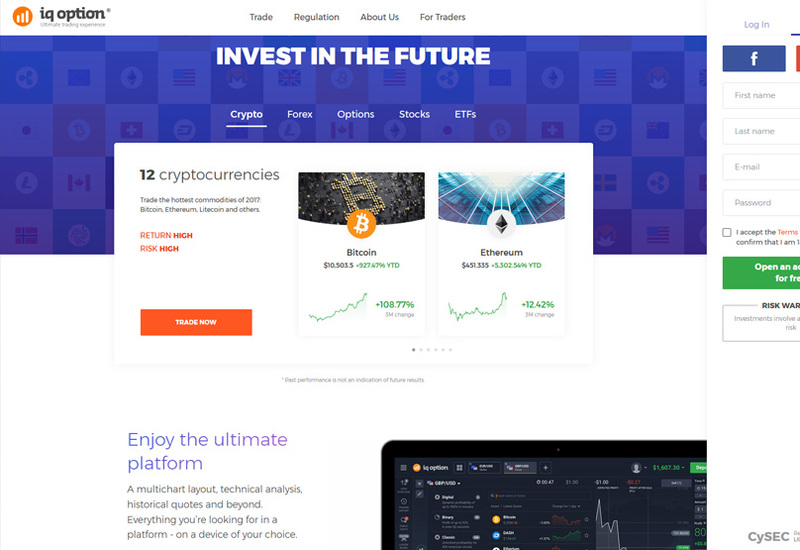 Because it's handled by hundreds of developers who work closely with experienced traders, the platform is able to provide a lot of features to its customers. That's why I would highly recommend this platform to anyone who want to take their trading to the next level. However, a little bit of advice. It may not be intended for beginners, but they do have a demo account so they'll be familiar with how the platform works. Regardless, the platform is stable, secure, and functional, so you are getting what you're paying for and more. 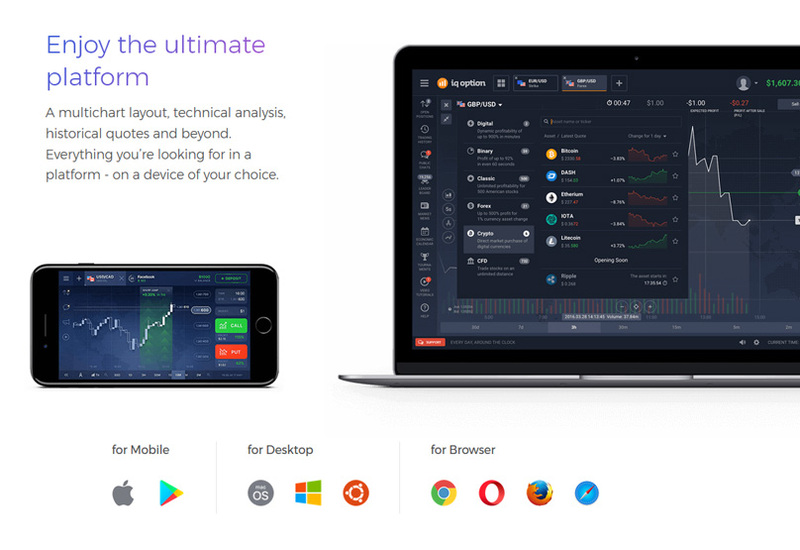 What I Like About IQ Option? What I Don't Like About IQ Option? IQ Option is an online trading platform that allows you to trade in financial instruments like Forex, Stocks, Binary Options, and even Cryptocurrencies. The platform was launched in 2013 and operated by IQ Option Ltd. The site then became one of the fastest growing online trading platforms with more than 20 million account holders around the world to date. 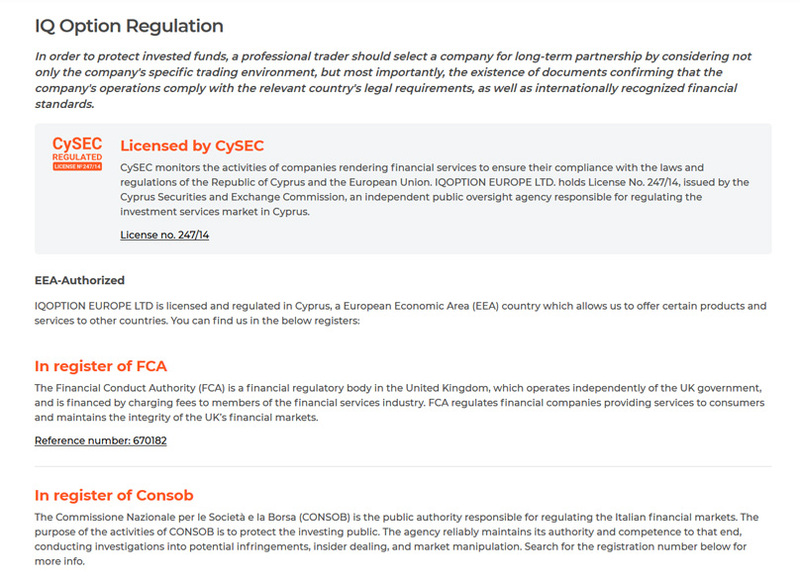 IQ Option is based in Cyprus and is regulated in the EU by the Cyprus Securities and Exchange Commission (CySec). Because they’re regulated, they are fully compliant with any legislation put forth by the commission. They are also fully authorized to sell their products to clients in different jurisdictions. IQ Option provides you with different alternatives to trading, and you’re not just starting out as a binary options broker either. IQ Option is a comprehensive trading platform that provides its users with a wealth of alternatives. After starting out as a binary options broker, IQ Option now allows customers to trade Contracts for Difference (CFDs) on stocks, Cryptocurrencies, Exchange Traded Funds (ETFs), Forex, and a range of various digital options. Contracts for Differences (CFD) on Stocks – You can trade CFDs on stocks from over 7485 different companies, including the most successful businesses listed on the NASDAQ and NYSE. Exchange-Traded Funds (ETF) – Exchange-Traded Funds or ETF is a new product that works by tracking commodities, indices, and assets. These can be traded in the same way as common stocks, and traders can choose from approximately 4288 different ETFs. Forex – This is an extremely popular trading market and IQ Option provides you with access to around 188 currency trading pairs. Options – You can speculate on prices on different assets, like stocks, commodities, and indices. The platform gives you access to over 10 million options. If you’re interested in trying out their platform before depositing any money, you can use their demo account facility. Their demo account comes with a renewable supply of virtual funds that allows you to practice your trades as well as get you familiarized with the platform. Real Account – A minimum of $10 investment is required and removes all restrictions on all trading functionality. This also gives you access to over 70 assets as well as process withdrawals. VIP Account – This is available for traders who deposit more than $3,000. In addition to the features found on the real account, IQ Option also provides you with a personal manager to assist you in your queries and issues, as well as access to monthly reports on your trading. IQ Option provides you with different options for deposits and withdrawals to and from their trading accounts. You can make use of debit services like Maestro and Visa Electron, or you can use credit cards like Visa and Mastercard. You can also use payment processors such as Skrill, Cash U, Neteller, WebMoney, and Moneybookers. You can also use Wire Transfer for your withdrawals. In order to make your first deposit, you’ll have to verify your account following EU regulations. 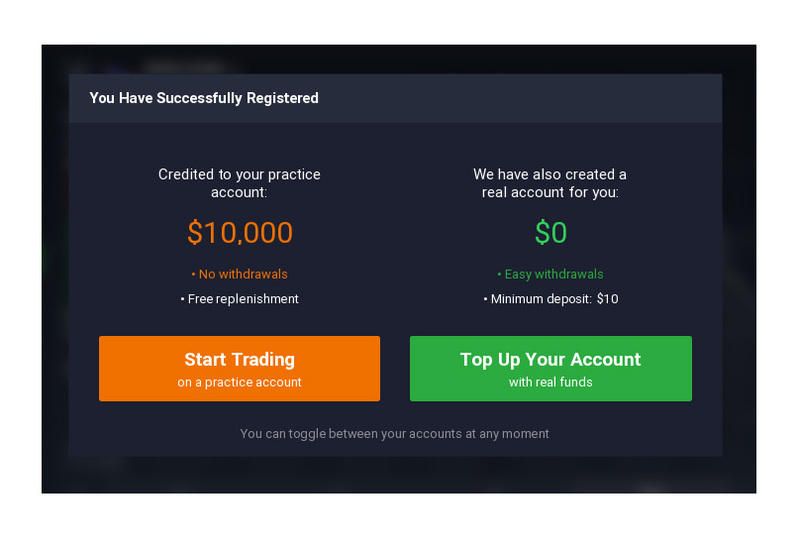 It’s free to create an account on IQ Option. You can use your Google Account, Facebook Account, or your own email. It’s up to you on how much money you want to throw in that makes or breaks your initial start-up with IQ Option. On top of making money from trading, IQ Option also allows you to earn money through their affiliate program. This is a commission-based structure that pays you based on the trading fees that your referral generates. How to become an IQ Option affiliate? The structure also operates on a tiered structure that focuses on rewarding more signups. This means that the more you’re able to bring in traders, the more financially rewarding IQ Option will be. You’re getting paid a 50% “revenue share” with the broker. Throughout the lifetime of your referred client, you will be paid 50% of what they earn by IQ Option. You can read more about their affiliate program by clicking this link right here. You’ll need to sign up for an affiliate account over at IQ Option. Once that’s done, you’ll be assigned an affiliate manager, who’ll give you everything you need to know about the platform and ask you to comply with affiliate KYC (Know Your Client) requirements. Once you’re approved, you can start promoting IQ Option with the affiliate link they provide. You’ll start off on the first level affiliate tier, which is the 50% revenue share. As you recruit more members, you’ll then advance to the next levels and take advantage of benefits like instant withdrawals and higher commission percentages. 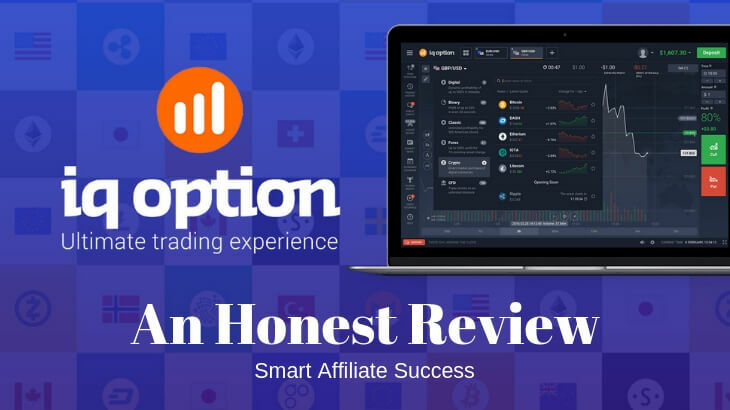 The IQ Option affiliate dashboard also tracks the traffic from your referrals, so you’ll know who signed up and the amount that your recruits are trading. Anyone who’s used similar trading platforms such as 24Option or Traders Academy Club. One thing that makes IQ Option stand out from the rest of their competitors is their state-of-the-art trading technology. With over 100 developers constantly working on the platform, its efficiency and quality is highly maintained and improved. Working together with these developers are seasoned traders, so you don’t miss out on any functionality. Some of the tools on their platform include charting packages and studies such as Bollinger Bands and Moving Averages. Their web platform also has widgets, which can be positioned according to your preference. I take awards seriously, as long as they’re also coming from authoritative figures. In the case of IQ Option, they’ve accumulated a long list of awards that shows off each of the platform’s strengths. 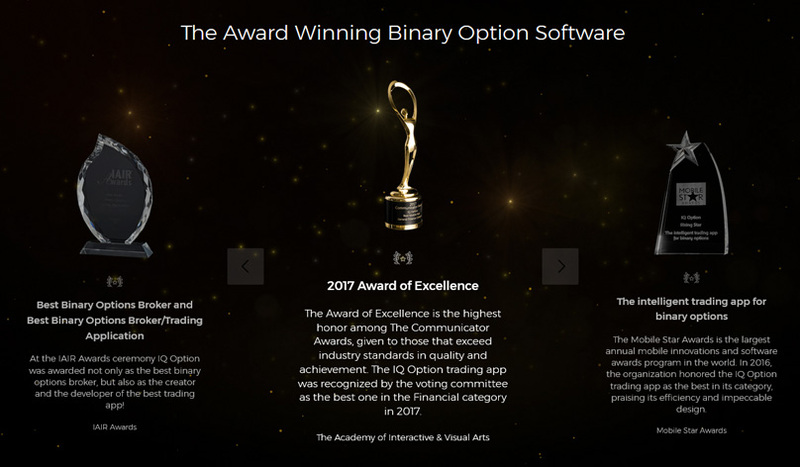 Back in 2017, The Academy of Interactive & Visual Arts honored IQ Option with the 2017 Award of Excellence, which is the highest honor from the Communicator Awards. Just some of IQ Option's awards. No big deal. IQ Option was recognized by their voting committee as the top trading app in the financial category. In 2016, IQ Option earned the Rising Star Award for “The Intelligent Trading App For Binary Options” from Mobile Star Awards, an annual awards program dedicated for mobile software and innovations. The Web Marketing Association also honored IQ Option with Best Technology Application in 2016 for their mobile app. IQ Option is good at what they do, and they work hard in maintaining the quality of their platform. With all the investments taking place at any given time from all corners of the world, it comes to no surprise that IQ Option is heavily regulated within the European Union. In order to continue their operations, IQ Option needs to maintain and meet requirements in relation to marketing restrictions, client funds, and trading products. But due to local laws, they cannot accept traders from United States, Canada, Palestine, Israel, Australia, Syria, Russia, Japan, Iran, or Belgium. For further international appeal, IQ Option lets traders select from one of the following currencies for funding: GBP, EUR, USD, Yuan, MYR, IDR, and RUB. As mentioned, IQ Option received an award for their mobile web trading solution, or what’s simply known as a mobile app. The app has a clean and intuitive graphical interface that makes it easy to use. You’ll also find their charting options, which can also be found on their standard platform. Currently, the app has support for both Android and Apple iOS devices. IQ Option, despite being a really great platform, doesn’t really fit well for novice traders, especially for those who have not used a trading platform. But any form of trading needs a lot of work, training, and studying involved, so you really can’t just get your feet wet and hope for the best. IQ Option is merely a trading platform, so don’t expect a lot of hand-holding on how things are supposed to work. Then again, they do have a demo account, which should help newbies become familiar with the system. If you really want to push through with using the platform, I would advise you to use the demo account until you’re confident that you can trade in real time. If you want to boost your knowledge of Forex trading, there are a lot of Forex trading courses available on the Internet. One place to get started would be Udemy, an online education training platform with thousands of courses to choose from. IQ Option is a multi-awarded online trading platform that’s heavily regulated by their country’s financial authority. If they were a scam, these guys would’ve shut down the moment they came out to the scene. For the seasoned and experienced online traders, I highly recommend this platform for the main reason that it’s very reliable. The quality of the platform is vetted by numerous agencies across the years, and their platform is always being worked on by hundreds of developers. This shows that IQ Option take stability, functionality, and security very seriously.